The Town of Southampton’s Historic Division sponsored a burying ground workshop from Thursday through Saturday, September 22 – 24 at the North End Burying Ground, under the auspices of Town Clerk Sundy A. Schermeyer. The event was supported by the Howell Family Association, many of whose ancestors are interred at the site which dates from the early 1700. This year’s program focused on the repair of a monumental marble obelisk of the King family, as well as slate and sandstone tablets of Howell family members that demonstrated a variety of condition problems. Because of its height and weight, the obelisk was disassembled, old cement repairs removed, and its base leveled before reassembly with epoxy adhesive. The top of the obelisk was broken and no longer secure, causing a safety hazard for visitors to the burying ground. The slates and brownstones enabled the conservator to demonstrate special techniques reserved for these stone types, which are prone to delamination. Employing liquid grouts, he filled cavities behind the inscriptions on eight of the headstones that were in danger of disintegration. 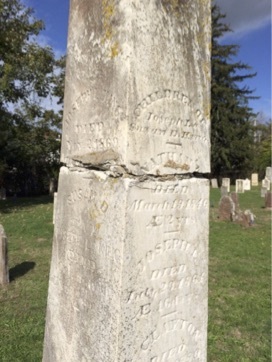 In addition, the headstone of Frederick Howell, infant son of Frederick Sr. and Elmira Howell, was repaired and reset after its original base was found buried in the ground. Approximately thirty marble headstones were also treated with an antimicrobial solution that cleans them of unsightly mold and lichen. The program was one in a series of annual burying ground workshops designed to advance the goal of repairing and preserving the town’s historic headstones while demonstrating techniques employed in the work to the general public. The workshops are offered free of charge. The Town of Southampton owns and maintains ten historic burying grounds, of which the North End Burying Ground is the largest with 668 headstones. In 2015, in celebration of the town’s 375th anniversary, the Old Southampton Burying Ground was restored with support from the Robert D. L. Gardiner Foundation. A detailed report of the work accomplished at this time is available here. 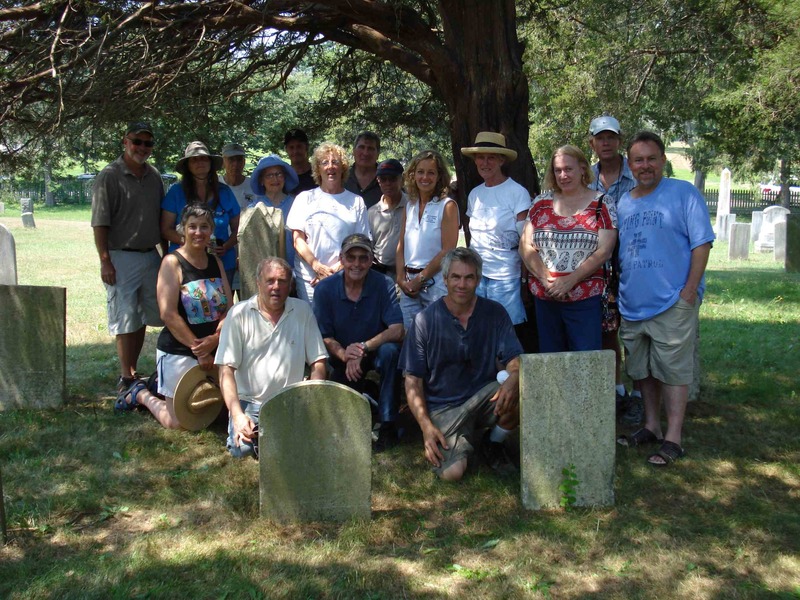 The first of two 2014 Historic Burying Ground demonstration workshops was held on Saturday, June 28 at the East Quogue Methodist Cemetery, located on Montauk Highway behind the East Quogue Methodist Church. The workshop was sponsored by the Office of the Town Clerk, Sundy A. Schermeyer, under the auspices of the Town Historic Division and East Quogue Historical Society. The Society entered into a stewardship agreement with the Town for the purpose of preserving and repairing the surviving features at the site – headstones, footstones, railings and fencing – and this was the second training workshop that demonstrated conservation treatments to the Society’s volunteers. Anyone interested in this town-wide preservation project was invited to attend. The workshop ran from 9 to 4. 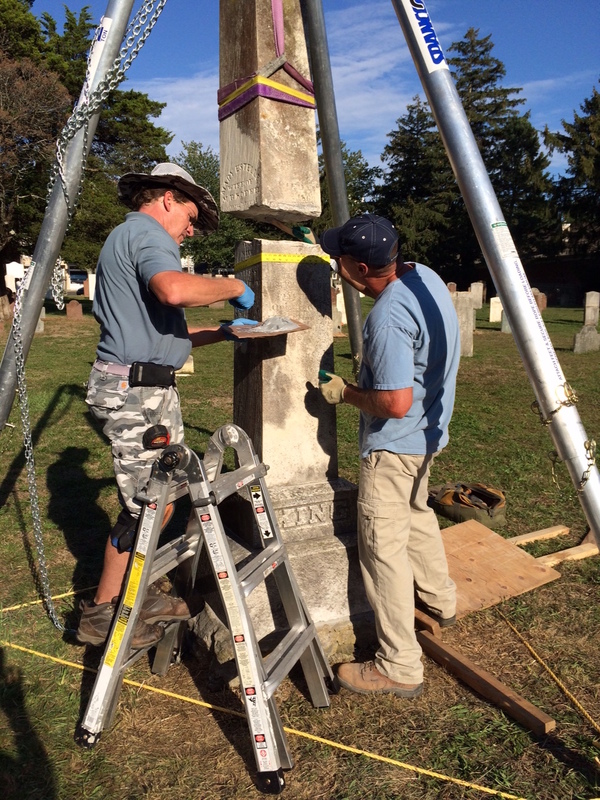 Activities included gentle cleaning of the headstones, resetting and leveling of tilted stones, and lifting fallen stones under the supervision of stone conservator Joel Snodgrass. A broken stone was reattached and reset as well. This one-day workshop was designed to familiarize volunteers with a variety of conservation techniques and provided an opportunity to participate in hands-on stone conservation, while observing procedures that require the skills of a trained conservator. Later in the year (T/B/D) the Town will sponsor a two-day training workshop in which more advanced conservation treatments will be demonstrated. For additional information contact the Town Historian at #702-2406. 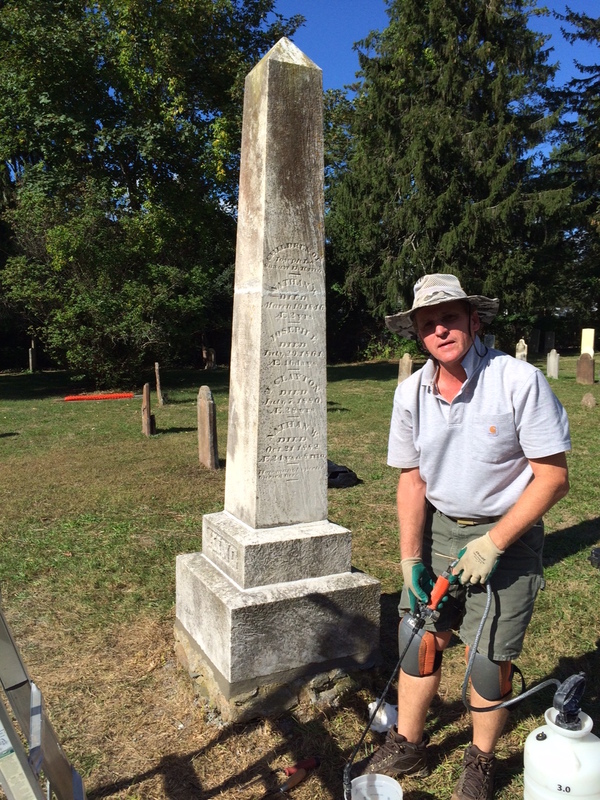 The Town of Southampton, New York State’s oldest settlement (1640), recently held a two-day Preservation Workshop on repairing the headstones of our ancient burying grounds and instructing volunteers in “best practices” for cleaning, resetting and maintaining historic monuments. The workshops were sponsored by Sundy A. Schermeyer, Southampton Town Clerk, and took place on Friday, July 19 and Saturday, July 20. Professional stone conservator Jonathan Appell provided hands-on instruction and training designed to demonstrate the techniques of headstone preservation and repair. Call the Town Historian for more information at #702-2406. After a hard day of cleaning and re-setting, relaxing under the shade.